The 2707B is a full-featured manual ranging true RMS DMM that combines performance, value and functionality. The 2000 count LCD can display resistance values up to 2 Gohm, capacitance to 20 uF, or a transistors common-emitter gain value up to 1000. 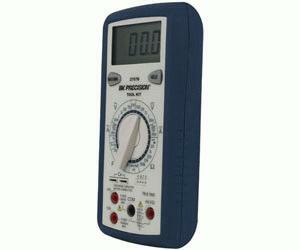 Value-packed features make this meter a must in every "Tool Kit? ".